Meri Miller lives in Soldotna, Alaska. Never heard of it? That's because in Slowdotna the most riveting activities for a teenager are salmon fishing and grabbing a Big Gulp at the local 7-Eleven. More than anything, Meri wants to hop in her VW Bug and head somewhere exciting, like New York or L.A. or any city where going to the theater doesn't only mean the movies. Everything is so scripted here--don't have too much fun, date this guy because he's older and popular, stay put because that's what everyone else does. 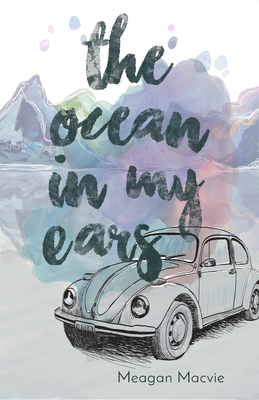 Meagan Macvie's debut novel, The Ocean in My Ears, raises questions of love, purpose, and the power to choose your own future even when your future's the thing that scares you the most.